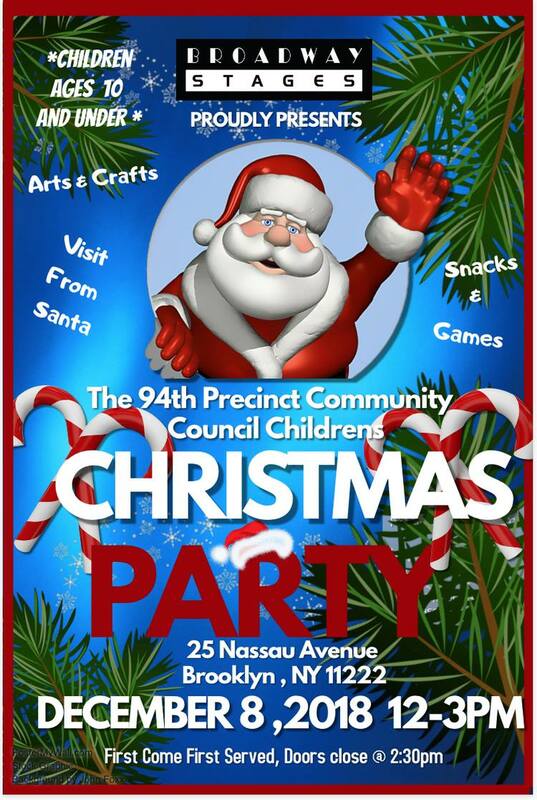 The 94th Precinct Community Council will host its annual Children’s Christmas Party this Saturday. The party, sponsored by Broadway Stages, the Brooklyn-based film and television production company, will be held at its 25 Nassau Ave. location, and is open to children ages 10 and under. The festivities will kick off at noon on Dec. 8 and go until 3 p.m.. Doors will close 30 minutes before the party ends. 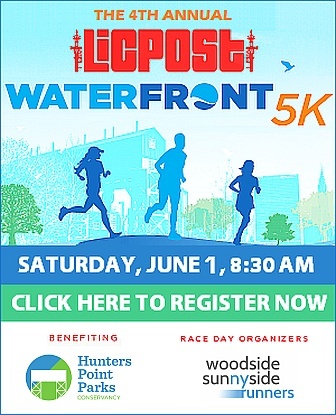 Children will be able to enjoy face painting, balloon animals, a photo booth, arts and crafts, and a selection of holiday snacks and beverages. 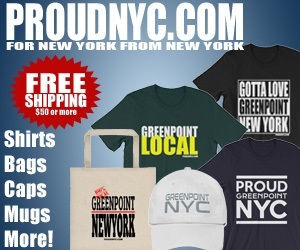 Santa will also be stopping by to greet each child and gift them with a toy donated by Broadway Stages. Kids will also leave with a goody bag filled with arts and crafts supplies to continue the party when they get home. The Christmas party has taken place for more than two decades, police say. 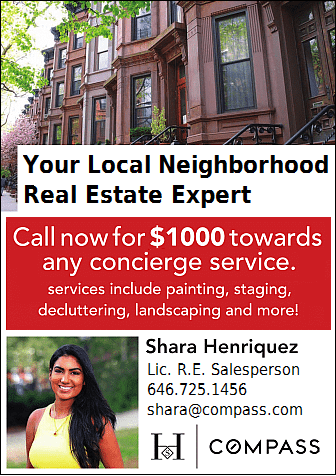 At last year’s event, Broadway Stages catered to more than 700 attendees. “Whatever the number, we are ready and excited to open our doors and celebrate the 2018 holiday season,” said Samara Schaum, a spokesperson for Broadway Stages. 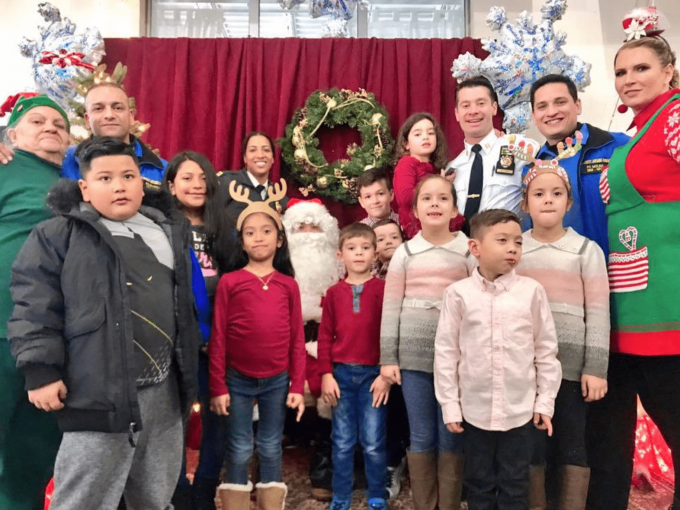 Broadway Stages had partnered with the 94th Precinct Community Council to put on the Christmas party for eight years, and co-hosts several other community events throughout the year including the annual Halloween party and the 94th Precinct’s National Night Out.